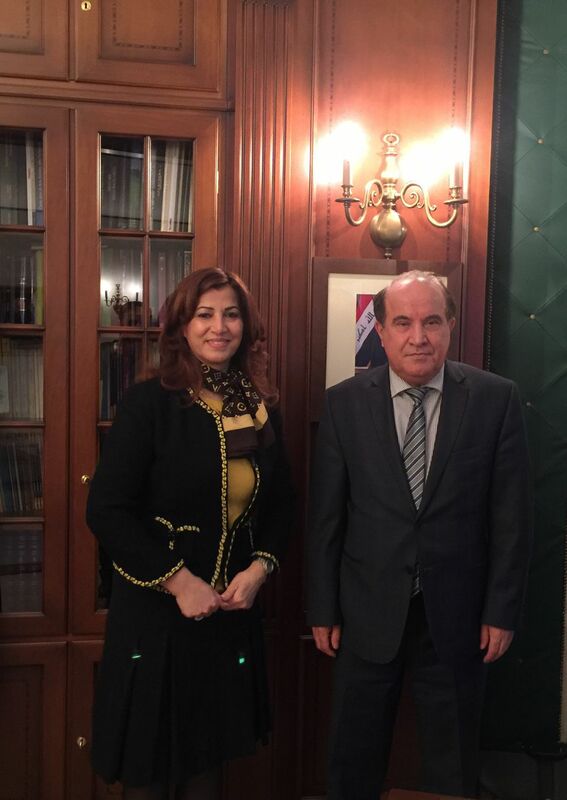 Today, the High Representative of the Kurdistan Regional Government in Italy, Mrs. Rezan Kader was received by the new Ambassador of the Republic of Iraq in Italy Dr. Ahmad Barmani, at the Iraqi embassy in Rome. Mrs Kader, who was not able to attend at the reception on the occasion of the assumption of functions, thanked the Ambassador for the invitation and congratulated for the prestigious appointment received and addressed all the best for the start of the role. The meeting was also an opportunity to exchange views about the current situation in Iraq and in the Kurdistan Region also, in the common fight against Dae'sh terrorists. Both, finally, called for a future and fruitful cooperation between all national components in addition to the commitment to work together, the only way to make international assistance to the people even more effective.